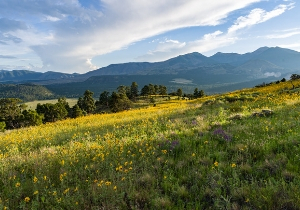 Come along with us on a sightseeing journey through Flagstaff, AZ. Northern Arizona’s beautiful mountain gem. A comfy and view-filled drive from downtown Flagstaff (116 W. Phoenix) into the surrounding areas. Scenic stops with photo opportunities available and light walking when weather allows. Enjoy an interactive presentation from a Flagstaff local and area expert on interesting history and area topics. Learn about the Flagstaff area, current day and historical, in a lighthearted and fun atmosphere. This fun, small group tour will run about 90 minutes, a total of less than 2 hours point to point. Kids ages 6+ are welcome on this tour. If you have questions about suitability and seating arrangements, contact us as at any time. Discover the beauty and history of our high-altitude mountain gem. 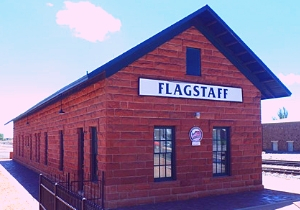 Whether you are a visitor to Flagstaff, new to town, or a long-time resident, you will love our Flagstaff Sightseeing Drive & Walk City Tour! View the calendar on this page for available dates and times. Join us for a fun and view filled experience that will leave you with a deepened sense of connection to our town and a sense of wonder for the world around you. View the ‘itinerary’ and ‘additional details’ tabs on this page for more details. What are you waiting for? Book your tour today! Can’t make one of our guided tours? Check out the self-guided Beginnings tour and enjoy it on your own time. Here’s the details on how the tour works just for you! Meet Us: We will meet you in the City of Flagstaff RV parking lot located at 116 West Phoenix Ave south of downtown Flagstaff. If you are driving, there is plenty of parking available in the area for $1 per hour through the ParkFlag parking system. Find more information on parking HERE. Some areas nearby may also have free 2-hour parking. If you are already downtown, we will be meeting within walking distance of most hotels, restaurants, and shops in the area. Next, let’s load up on our comfy and spacious tour van and dive right into the fun. Each section of our drive will be packed with interesting view talks and insightful information. Your participation and questions are always encouraged! Our journey though Flagstaff will take us to areas in Flagstaff with great views, to interesting historical sights, and more! After about an hour and a half of fun, we will head back to the starting point and say our goodbyes. This should be well within 2 hours of our start time, which will be important for parking purposes. What to Wear | Depending on weather, this tour will be operated partially on our bus and partially by foot. We recommend good walking shoes and clothes appropriate to the season of your tour and the anticipated weather forecast. Layers generally work best in Flagstaff, and we have plenty of storage room on the bus if you need to stow items. Our tour bus has heat and A/C available, but you know your own tolerances better than us. Please plan accordingly. Though water and a snack will be available on the bus, you may want to consider bringing your own as well. Interests | Natural and cultural history, local culture, neighborhoods, parks, pioneers, geology, volcanoes and so much more! Duration | Less than 2 Hours – Our driving tour will be about 1.5 hours for an overall experience of two hours or less. Handicap Access | If you are in need of special accommodations we may be able to help, please contact us. Physicality | 6/10 – The Flagstaff Sightseeing tour is on the medium end of our physicality scale. Contact us with questions. Cancellations received more than 48 hours prior to your scheduled tour date will be refunded in full minus a 5% processing fee. No refunds will be made for cancellations within 48 hours of your tour date. If you are concerned about the possibility of cancelling your tour we recommend travel insurance. Guests that do not show for their scheduled tour will be charged the full cost of their trip. Date transfers will be considered. Safety is our number one priority. In case of inclement weather or other unforeseen circumstances, we reserve the right to cancel a tour at any time. We will refund the full tour cost to guests in the instance that the operator cancels a tour. We will attempt to inform every guest as early as possible should a cancellation occur and date transfers will be available. Each guest will be required to complete a Release Waiver prior to joining our expeditions. This form can be downloaded HERE. Please print this document and return to us either before your tour by email or at your tour. We will have waivers available for your convenience at the start of the tour as well. If you have any questions or concerns please contact us.